SILVER SPRING, MD—Eight years ago, the Riderwood Lions Club began a service project to support Shepherd’s Table, the nonprofit organization in Silver Spring devoted to helping the homeless. That first year, residents of the Erickson Living retirement community collected thirty-seven shoe boxes filled with donated items for Shepherd’s Table. In 2014, that number climbed to 552 full-size storage containers. 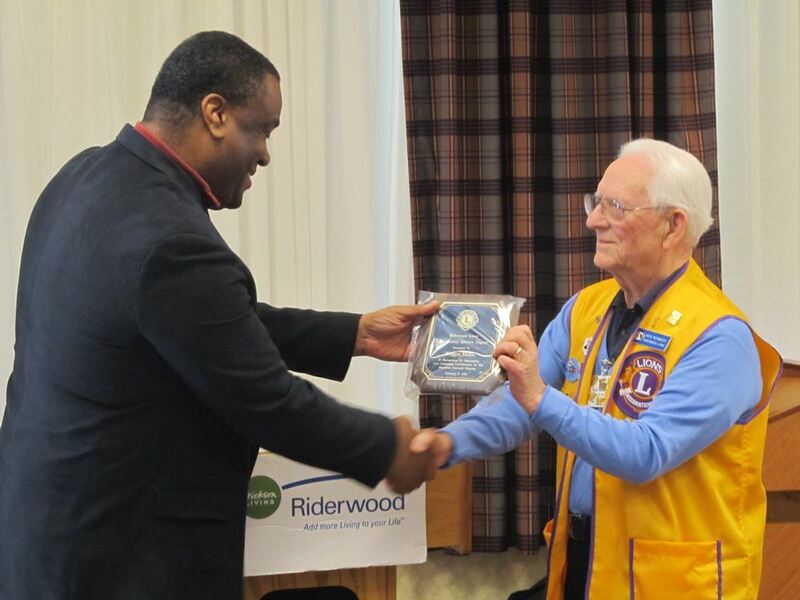 On Friday, February 13, resident members of the Riderwood Lions Club were honored for their efforts by the retirement community’s leadership during a volunteer appreciation luncheon. In return, the Lions Club recognized five employees from the Housekeeping Department of Riderwood for their support of the Shepherd’s Table project: Housekeeping Manager Reggie Dennis and four associates, Rudolph Deonath, Elizabeth Espinal, Reina Umanzor and Noel Vasquez. The five employees received Community Services Awards from Ken Kennedy, Project Coordinator for the Riderwood Lions Club. The mission of Shepherd’s Table is to provide help to people who are homeless or in need by providing basic services, including meals, social services, medical support, clothing, and other assistance in an effective and compassionate manner. More information can be found at www.shepherdstable.org. About Riderwood: Riderwood is one of eighteen continuing care retirement communities managed by Erickson Living. Located in Silver Spring, Maryland, the scenic 120-acre campus is home to more than 2,500 residents. Riderwood is the ideal greater Washington, D.C. retirement destination offering a true sense of community, convenience beyond compare and a sensible financial structure.